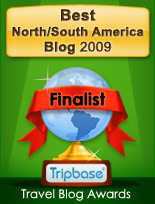 June 15, 2008 – A while back, I got an email from the folks at Mexico Hospitality, a new service starting up all over Mexico. It sounds like a great way for people anywhere to exchange homes. I poked around the Lake Chapala section of the site, where homeowners have signed up. I knew several of the people. You can sign up to offer hospitality to people when you are still at home, to exchange homes, or both. Very little money changes hands, just a suggested donation to homeowners. We won’t sign up for a couple of reasons. We don’t have much of a guest space… I doubt that our vintage Toyota motorhome, guest quarters for family and close friends, can compare with the charming spaces you’ll see on the site. And I’m not keen on the idea of people I don’t know swapping with us, where the various quirks of our dogs and cats might not get the level of attention I give them! Letting strangers into the house while we go to theirs wouldn’t bother me at all, though… it’s just the pets! The site explains how it all works in a most reassuring way, and it’s up to you to communicate with the other people before deciding anything. But apart from all that, I think the site is really very interesting if you are thinking of living in Mexico, or specifically retiring to Mexico, because you get a real “slice of life” feeling from what the various expats write. Most have pets. Most are busy. Most have lovely homes, you can tell from the photos. And who knows? There might just be a perfect exchange that would turn up! If that happens, please come back and post a comment. Members at www.homeforswap.com are doing just that. Home For Swap is a web site that allows members to exchange homes with each other. It’s a growing trend and offers many advantages over paying for a hotel room. First you decide where you want to vacation in the world and Home For Swap displays the home listings available in that area. After reading about the home, neighborhood, owners, amenities, and viewing detailed photos and videos, with a click of a button you private message the member and you are on your way. HomeForSwap.com is popular because it offers a unique vacation experience. Members get to know other members, share vacation exchange advice, leave feedback, and be a part of a growing community. When you travel to someone else’s home you also get immersed in the culture, not just the tourist areas. You meet the real people and dine at the local hot spots. If you want a midnight snack just walk down to the kitchen. Best of all the exchange is free!